A Picnic Menu from Old Gourmet, 1978/ Ruth Reichl/ July 2015 "July 1978 ... is so extremely seasonal it was difficult to choose a single recipe. So I'm offering a few of the interesting (given the date) recipes from the centerfold picnic. Hummus. Ceviche. And this rather mad stuffed celery." Jean Francois and Helen Bizalion have cultivated a beautiful, popular place for breakfast or lunch in the Berkshires, and if you're considering packing a picnic, consider Bizalion's. Menu listings are very French, very delicious. 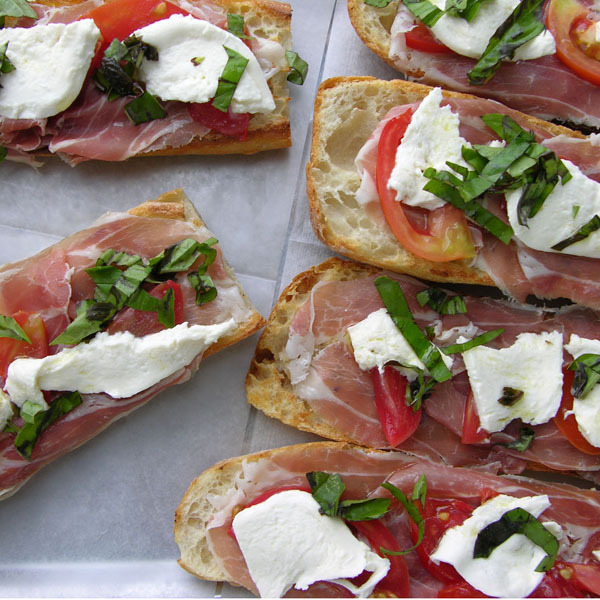 Sandwiches on baguette or grilled foccacia are always on the menu, as are great salads. Guido's is heavenly because it has so much to offer. There's the meat and seafood department; the locally sourced produce, the wine section and the great market itself. For a picnic, head to the Marketplace/deli section, for potato salad, shitake lo mein salad, salmon cakes, chicken panko, Thai basil chicken or quiche. Sandwiches are made to order with artisanal breads and a creative menu selection. The challenge here is what to choose among so many fresh, great options. You can never go wrong with a baguette, several cuts of local or imported cheese from Guido's cheese counter, some calamata olives and a good bottle of wine. Spirited wine shop has created two menus for picnics and paninis that cater to all tastes. French Country features brie, pate, smoked chicken breast and salad; Tasty Nosh with chicken breasts, lentil salad and mozzarella and tomato salad; Berkshire Summer Classic with chevre, hummous, roasted salmon, eggplant and grape leaves; and the Pre-Concert Spread with chicken breast, smoked ham and marinated artichoke and mushrooms. Spirited also offers artisan cheese boards and specialty trays, such as the French Flare, Spanish Tapas and Mediterranean Mazza. Panini's are grilled fresh to order and include Meagan's Pesto Chicken, Prosciutto Perfecto, The Big Cheese and the Tasty Toscano, among others.